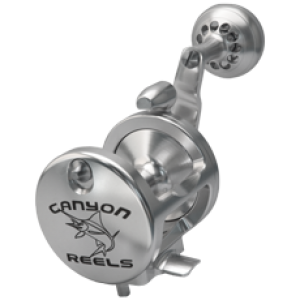 Canyon Reels’ HS-15 High Speed Jigging Reel power and super smooth performance makes the HS-15 the perfect choice for jigging, bottom fishing, and drifting. A large, deep spool with a capacity to hold 500 yd. of 40# braided line makes this a great choice for surf casters. Weighing only 13.4 oz., the HS-15 is an ultralight powerhouse that outperforms reels that are more than twice its size and weight. And it comes with a one year manufacturer’s warranty. Gear ratio of 6.1:1 is designed for high speed jigging! Stainless gears and springs for long lasting strength and corrosion resistance. Canyon's HS-18 family of High Speed Jigging Reel has the extra power that one needs to handle big fish. Designed and built to provide high speed, high power, and high line capacity. The one-way bearing, twin dog backup and titanium alloy drag plate provide a maximum strike drag of 25 lbs. and maximum drag of 44 lbs. Weighing only 28 ounces, the reel has a 6:1.1 gear ratio. Coupled with the extreme free spool performance, the HS-18 is perfect for jigging, bottom fishing, drifting and much more. The HS-18 Two Speed Jigging Reel has incredible power and superior smooth performance. It is an excellent choice fo jigging, bottom fishing, and drifting. With its large, deep spool it has the capacity for up to 575 yards of 65 lb braided line. Canyon Reels HSX-30 Two Speed Jigging Reels are designed to handle the toughest fish. It stands up to every vertical jigging task put on it. 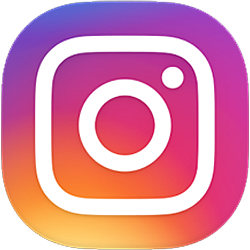 The smaller size and weight (32 oz.) make for a longer day of fishing without the fatigue associated with larger reels that are as strong. The two speed jigging reel has a strong 6.1:1 gear ratio for the power needed when deep water jigging. You will be amazed at how quick you can get a fish up! A 3.8:1 gear ratio is also available for circumstances that dictate using a lower gear ratio. 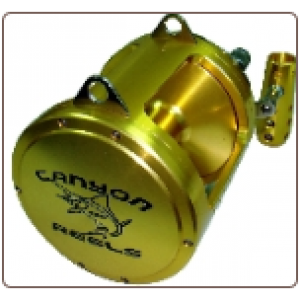 The Canyon EX Series Trolling Reels are 2 speed reels with extreme drag power. Each reel has approximately twice the drag power required for its class. This allows anglers to use a lighter reel for inshore and offshore fishing. It has a one touch gear shifter that easily engages and disengages while in use. The extra loud and strong clicker can be heard throughout the boat. Max Strike Drag – 85lbs.